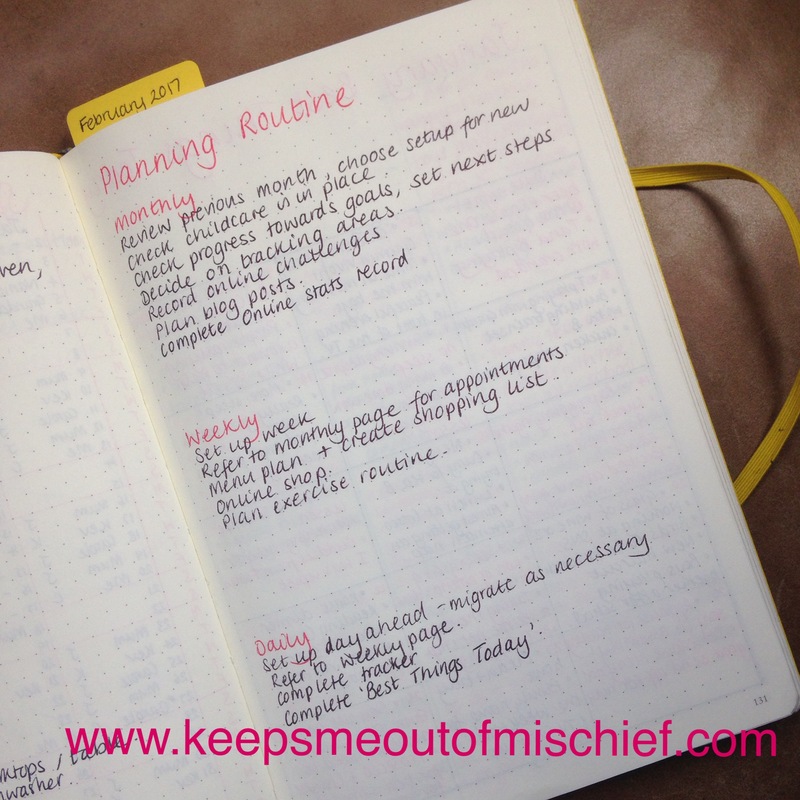 Creating Collections in your Bullet Journal | Keeps Me Out Of Mischief! How’s it going? You may have noticed a gap in our mini-series last week, my birthday celebrations continued for over a week so I took some time off! Big events like birthdays, ongoing projects or lists that just don’t fit in with your daily or monthly pages can be given a dedicated space in your Bullet Journal in the form of a ‘collection’. These collections can be written on the next page in your journal or you may want to put them altogether at the end of your book. I tend to place those that are time specific, one-off events, e.g. planning our Christmas meal or my packing list for a weekend away, within the pages of my journal, whereas the collections that I know I’ll want to refer to time and again, e.g. 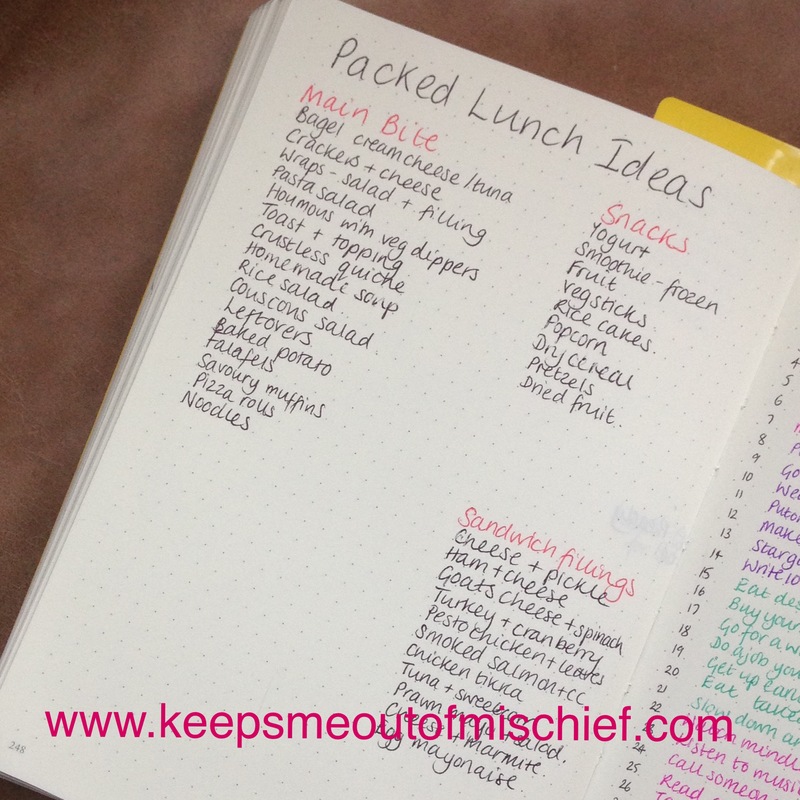 my page detailing ideas for packed lunches, are at the back as I can locate them more easily. 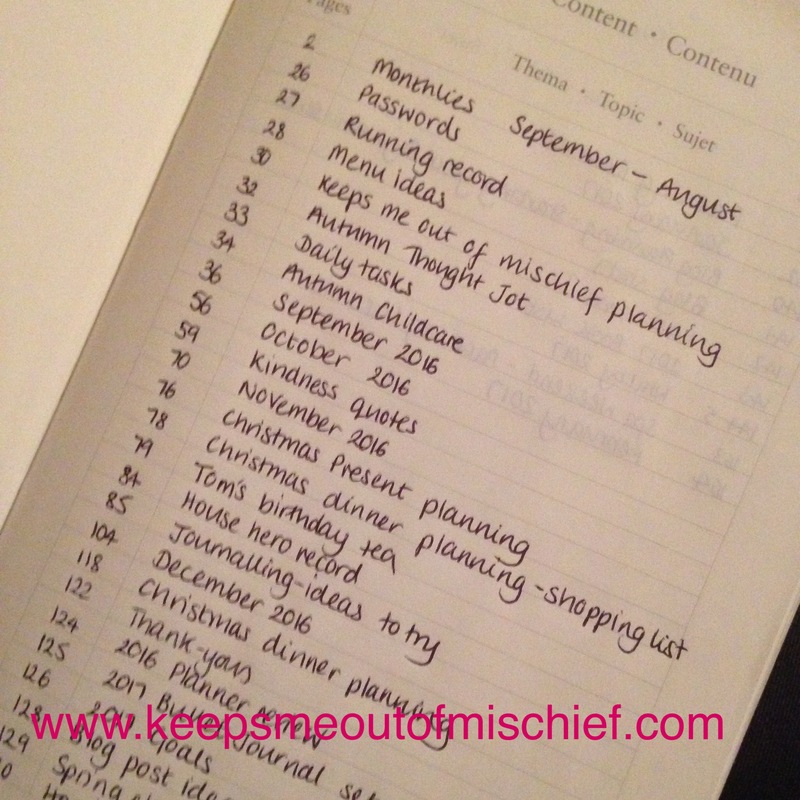 As I flick through my current Bullet Journal I have pages containing the following collections. You can click on the links to see the ones I have written about in the past. As I’m now on my third journal and soon to move into my fourth, I’ve begun to realise that I refer to some collections far more regularly than others. I also noticed that I only refer to certain collections when I’m planning at home. To save space in my current journal, I’ve moved these collections into a ‘Permanent Collections Bullet Journal’ that I keep at home. You can read about the process here. If you’re creating collections that are placed within the pages of your journal, you will probably need to create an index to help you to keep track of them. Some notebooks already have an index at the beginning and numbered pages, in others you need to create this feature yourself. I had to do this in my first journal and I think I spent less time numbering pages than I would’ve spent searching for collections. As a final note, I’ve just noticed that this is post number 500 on my little blog! Thanks for all of your visits, comments, likes and follows – it’s been great to ‘meet’ each and every one of you! What other posts would you like to see on here? 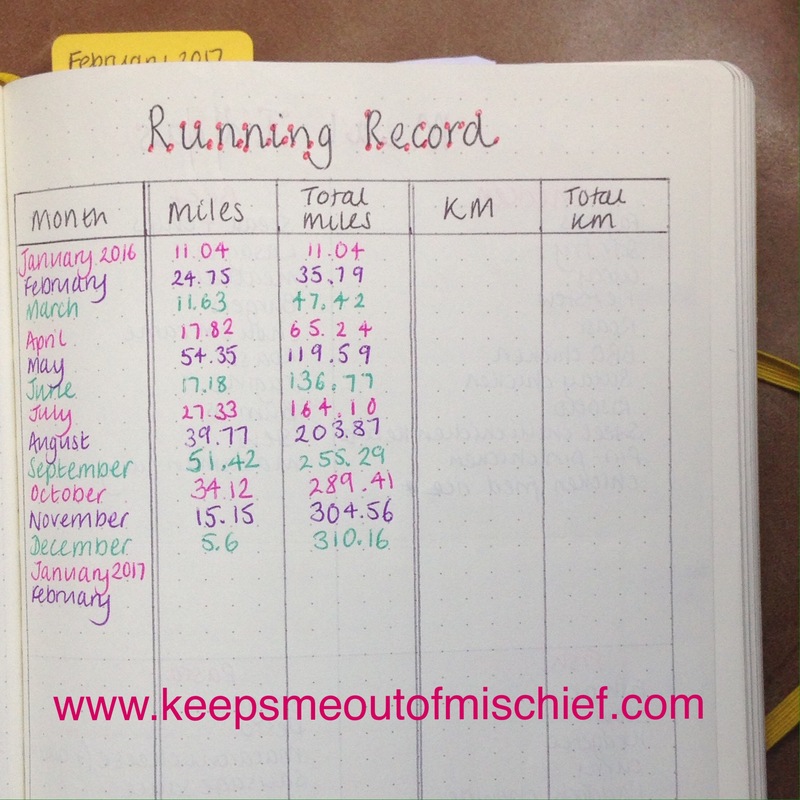 I love the idea of a “permanent collections bullet journal”. I can already see that I have certain collections that are going to become permanent. I’ve bullet journaling since August of 2016. It really works well for me. You can see how I chose the Collections if you click on the link. Thanks for stopping by!